Have you ever given thought to the marvel of stones, and even larger rocks, in a stream that have been smoothed by the continual flow of water over their surface. At times that water is gentle and graceful in current and at other times, it flows with determined full force, transforming what were the jagged and rough edges of manifest impediments into those that are smooth and easier to pass over and through. The waters of our emotional outpouring can serve the same purpose if we allow the flow to be purposeful and directed in its course. The stones of jagged edges that we have manifested and held within where forgiveness can not pass easily or anger rips to shreds any gentle thought, can all be smoothed and refined so that the current of healing waters may continue its course. This action of smoothing and softening is not one of releasing and disintegrating those feelings that are justifiable and have shaped the landscape of our inner river bed. In truth, these unpolished stones are precisely the reminders and supports that are needed to move us forward from stagnation and bitterness; and at times provide the stable ground from which to purposefully exact harsh and swift change. But, in the softening of their edges the space of acknowledgement of their power, lessons and place in forming who we are can now be used as they become the directors of a flowing current that is deeper in perspective. This newly directed course is that of seeing the potential of what we may BECOME; no longer remaining in a state of pain and haphazard current, but rather flowing in a place of power and unobstructed course. Each time we purposefully allow our emotions to soothe and reshape what we have manifested as our point of blockage and challenge, those waters of healing and powerful transformation have the vantage of moving in a stronger flow, unimpeded and reaching into all levels of our being. Which of your stones are in need of polishing? Imagine within yourself a river of healing waters flowing through every part of your body. Pick a point of focus and in your mind’s eye travel along the flow of this river as it meanders through you. Pause at each blockage or jagged stone that tries to impede this flow of healing. Take a closer look at what energy it holds and what detail has been carved into is surface. Breathe into the waters that surround it and see them rise and move with force and intent over the edges and surface of this stone. Feel the smoothing and soothing action of this force and flow. Now see behind you this same stone, no longer with jagged edges protruding. See the waters flowing gently and lovingly over its surface. See it smooth and polished gleaming with the luminosity and power of the healing waters. 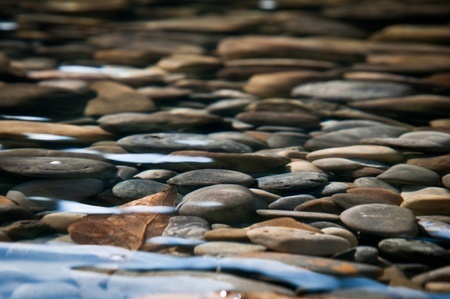 Each stone refined in this manner as the steps of return to the calmness of your inner shores is laid. The Moon wanes towards its Full Light this week and the opportunity is ripe to reach out to the potency of this energy and claim the shadow of your own fullness. 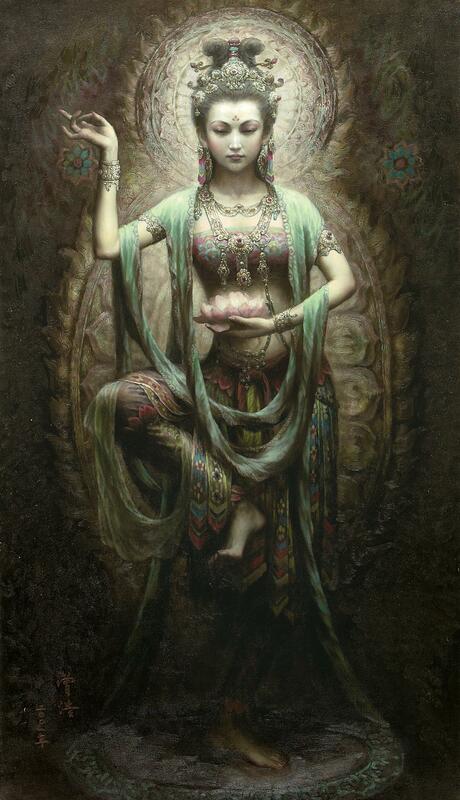 As the Goddess completes her lunar transformation she blankets her radiance in a knowledge that is deep in its interior reach within the very core of who we believe ourselves to be. Although, we often speak of the discomfort of standing naked and vulnerable in the brilliance of light’s examination what is overlooked is the ability to hide within that light and make excuse for why we are not self-aware. We seek the illusion of solace in the dark; yet are afraid of what we may find there that stirs the wild and primal self into action. And, emerge from this space still unaware and afraid of the power and truth of who we are. The key is seeing the illusion of both and calling forth the truth within each to co-create as sisters supporting our spiritual and personal growth. 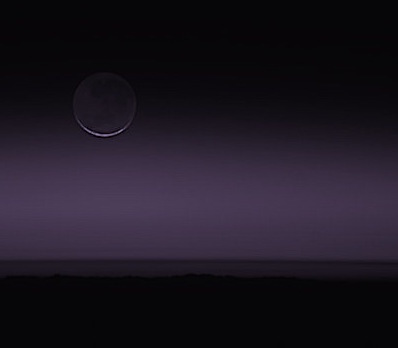 The waning towards the Dark Moon embodies our occult self that feeds the illusion of who we are and; if embraced in the fullness of our creation of the pervasive darkness of our truths, reveals what lay beneath the surface waiting to be used and transformed. This is the work of the Goddess as the Crone. She holds nothing back, invites you to look at the truth of your own reflection and then demands that you release what serves no purpose and what hinders your growth. She carries the wisdom that has grown through experience and she knows the secrets of the darkest of places and holds within the Light that illumines those who have courage to enter. The dark moon of Lilith’s mantle calls to you to arise and come to her in all your splendor and beauty as a being of Dark and Light….. The power of your hidden light. Of my power and fierce will. Who will you seek as the moon wanes towards its Newness on Wednesday?